Your wellness journey begins in the tranquil and awe-inspiring Serenity Room where you are surrounded by elegant palm trees and the delightful sounds of a soothing waterfall. The Spa offers special amenities such as plush spa robes and slippers, beauty and grooming supplies, private lockers and quiet changing rooms to utilize before or after your spa service. To maximize your relaxing experience at The Spa at Arden Hills, be sure to bring a swimsuit and allow for extra time to indulge, unwind and de-stress in the hydrothermal whirlpool. Either before or after your spa service, luxuriate in the detoxifying and revitalizing steam room! You’ll leave feeling refreshed and rejuvenated. When you book a Spa Party and enjoy at least six hours of spa services, you can gain full access to the private grounds for the day. Including five spectacular pools all surrounded by cabanas and lounge chairs amongst the beautifully maintained gardens. MAKE IT A SPA PARTY!  Grab the girls and treat yourselves to a day of well-deserved pampering at the award-winning Spa at Arden Hills! The Spa boasts an endless array of luxurious body treatments – revitalizing the mind and body. In addition to spa packages, stand-alone options also include manicures, pedicures, facials, massages, body treatments and much more. Additional amenities include private lockers, plush robes, a steam room, hydrothermal whirlpool, and fresh, healthy and seasonal food options available from Chavoor, our on-site private restaurant.